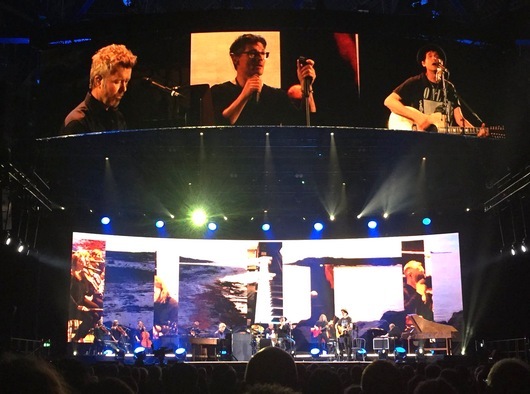 a-ha’s MTV Unplugged Tour ended at London’s O2 Arena last Wednesday, 14 February. 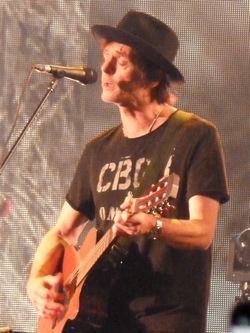 The 21-song setlist included the only tour performance of “The Killing Moon”, featuring special guest Ian McCulloch, making it the longest concert of the tour. McCulloch also joined the band on “Scoundrel Days”, like he did on the Summer Solstice album last year. 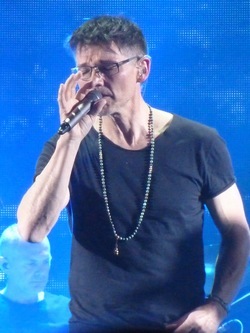 The previous Friday, 9 February, they were joined on stage at Oslo Spektrum by special guest Susanne Sundfør, who sang with Morten on “I’ve Been Losing You” and “The Sun Always Shines on TV”. Since winning one of the a-ha talent grants in 2010, Sundfør has gone on to become one of the most popular and critically acclaimed performers in Norway. While on tour with a-ha in Germany, Paul and Lauren took the opportunity to do some promotion for the new Savoy album. The interviews included Mucke und Mehr, Focus.de, bleistiftrocker.de and a video interview with Buch und Ton. There was also a book launch of the German edition of “Tears From a Stone” at the Norwegian embassy in Berlin on 29 January, where Paul was joined by author Ørjan Nilsson. Together they were interviewed by the German edition of Rolling Stone magazine. While in Berlin, Paul also did a new interview with Richard Green for BBC Radio Devon, which was broadcast on 10 February and can be heard here. Speaking of Berlin, an additional German concert on the Electric Summer tour was recently announced; it will be held at the Zitadelle Spandau in Berlin on 21 August. Tickets for the concert are available at eventim.de. 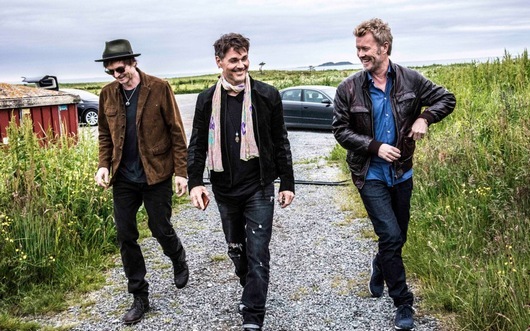 A new 1-hour documentary called a-ha Unplugged – På innsiden (a-ha Unplugged – On the Inside), about the process leading up to the concerts at Giske this summer, is set to air on TV2 in Norway next Monday, 11 December at 22:40. A couple of previews can be seen at TV2.no and on Facebook. 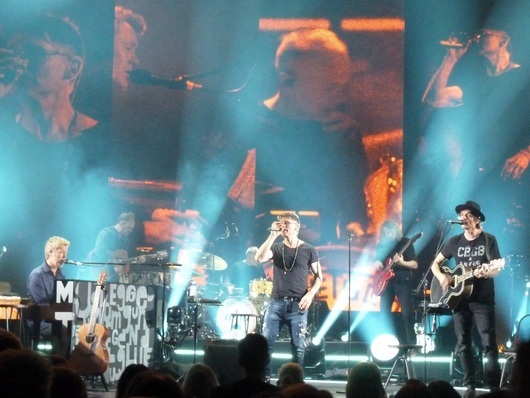 TV2 will also air a 1-hour edited version of the MTV Unplugged concert itself on Wednesday, 13 December at 21:40.
a-ha’s new live album MTV Unplugged – Summer Solstice has entered the German album chart at #3 in its first week. This is a-ha’s 13th top-10 album in Germany. In the UK the album has entered the album chart at #6, making it their seventh UK top-10 album. A total of 6,982 copies were sold in the first week, this number includes physical sales, digital sales and streaming (1500 streams equals 1 album sale). But if the UK album chart had been based on physical sales only, MTV Unplugged – Summer Solstice would actually have been at #2, only beaten by Liam Gallagher’s new album, as can be seen on the physical albums chart. In Norway the album enters VG-lista at #14 in its first week. Elsewhere, the album enters at #35 in Belgium (Wallonia), #50 in Ireland, #93 in Belgium (Flanders), and #98 in The Netherlands, according to the UKMIX forum. Additionally, the DVD/Blu-ray has entered the German Top-30 Music DVD chart at #4, the Belgian (Wallonia) Top-10 Music DVD chart at #4 and the Dutch Top-10 Music DVD chart at #8. 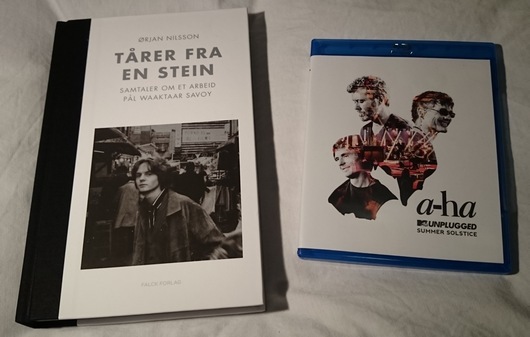 A big release day on Friday, as a-ha’s new live album/video MTV Unplugged: Summer Solstice was released in eight different versions and the Norwegian edition of Ørjan Nilsson’s book about Paul Waaktaar-Savoy was published. Fanbox (amazon.de), Blu-ray (amazon.de / amazon.co.uk), DVD (amazon.de / amazon.co.uk), 2CD (amazon.de / amazon.co.uk), 2CD+Blu-ray (amazon.de / amazon.co.uk), 2CD+DVD (amazon.de), 3LP (amazon.de / amazon.co.uk) and 1CD (amazon.co.uk). Plus download and streaming. For those of you wondering about the Blu-ray and DVD, they have now both been officially confirmed to be region-free. 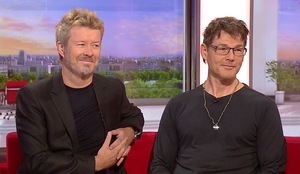 To promote the live album, Magne and Morten were guests on BBC Breakfast on Thursday, while Morten visited ITV’s Loose Women on Friday. Morten also did radio interviews with BBC Radio Oxford (starts at 30:30), BBC Hereford & Worcester (starts at 1:17:00) and BBC Radio Devon (to be broadcast on October 14th). In Norway there has been extensive media coverage of Tårer fra en stein and the first printing of the book is actually already sold out, with a second printing set to follow soon, according to BA (paywall). I won’t reveal too much of the 300-page book here (stay tuned for possible translations into other languages), but it goes in-depth about Paul’s songwriting, inspirations and career in a way that has never been done before. “We’re unlikely to ever get a more detailed portrait of Waaktaar Savoy”, VG says in its review of the book. There was a book launch at Tronsmo bookstore in Oslo on Friday, where author Ørjan Nilsson was interviewed by Audun Vinger in front of an audience which included Paul’s mother Gerd. A video of the full conversation has been posted on Facebook. The Norwegian edition of the book can be ordered from haugenbok.no, tanum.no, platekompaniet.no or bigdipper.no. For more information about the book in English, read a new interview with Ørjan Nilsson at The Electricity Club. 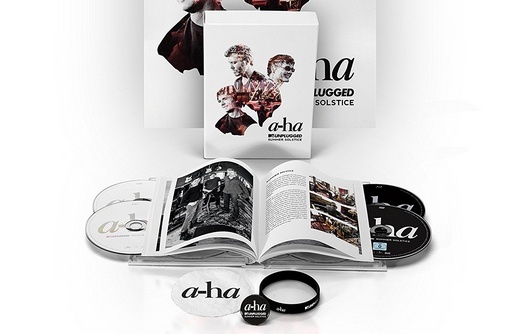 The new a-ha live album/concert film MTV Unplugged – Summer Solstice will apparently be released in eight different versions on October 6th, and can now be pre-ordered from various online stores. Thankfully, all the 21 tracks performed at the Giske concerts in June will be included in all versions (except the 1CD Acoustic Hits edition). This is the first time an entire a-ha concert is released without songs missing. But if you want to buy the 3LP vinyl version, be aware that 11 of the 21 tracks have been edited for time. Blu-ray and DVD bonus features are called “Friendship”, “Songs” and “Project”. The version that many fans will be interested in getting is the Limited Edition Fanbox, which not only includes the 2CD, Blu-ray and DVD, but also a hardcover book about the recording process, a poster, wristband, badge and button. Currently only available from Germany, but at a good price. The book seems to be in English, based on the fanbox image on Amazon. Update: the book is confirmed by a-ha.com on Twitter to be in English. Note: When ordering from amazon.de – if you don’t understand German, you can change the language to English at the bottom of the page. a-ha presented their new live release MTV Unplugged – Summer Solstice at a press conference at the Nordic Embassies in Berlin on Tuesday, September 12th. 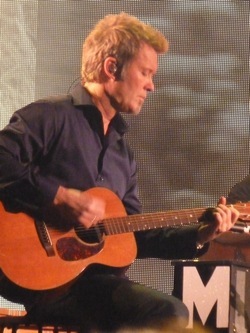 A video of the whole event, hosted by Norwegian musician and author Jo Nesbø, is available on a-ha.com’s Facebook page. After the press conference, the band did a number of interviews with German and Norwegian media, including TV2 and NRK. Another video report appeared on ARD’s Brisant. 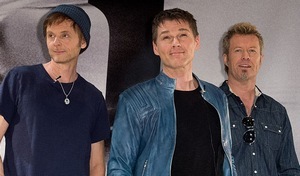 On Wednesday, September 13th, a-ha did further promotion in Berlin. Twelve pictures from a DPA photocall can be seen at belgaimage.be. The first single from MTV Unplugged – Summer Solstice is called “This is Our Home” and is now available on for purchase/streaming. Watch the video on YouTube. a-ha will present their new MTV Unplugged live album and concert film Summer Solstice at the Nordic Embassies in Berlin on Tuesday, September 12th [date corrected] according to Berliner Morgenpost. The press launch will include an interview with the band members, moderated by the Norwegian musician and author Jo Nesbø. 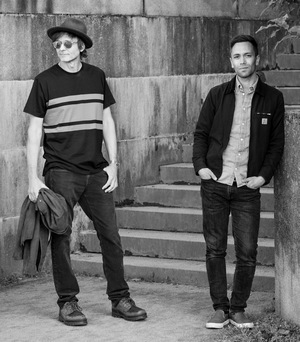 a-ha have previously used the Nordic Embassies in Berlin to launch three albums; Lifelines in 2002, Foot of the Mountain in 2009 and Cast in Steel in 2015. It’s safe to assume the band will do lots of other promotion as well, while in Germany. Still no confirmed tracklist for the Summer Solstice album/video coming on October 6th, but four different formats are up for pre-order on CDON.eu; Blu-ray // Deluxe 2CD+Blu-ray // Deluxe 2CD+DVD // Triple vinyl. 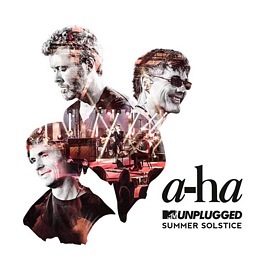 The official site has now revealed the cover art of a-ha’s MTV Unplugged album and its title; Summer Solstice. The album, which features cover photos by Just Loomis and artwork by Matthias Bäuerle, will be released on 6 October. On that same day, MTV Germany will air the Summer Solstice concert on TV – but only a shortened 50-minute version. No tracklist has been posted yet, but the regular album will probably only include a selection of the 21 songs performed at Giske. Whether there will also be a 2CD-version with all the songs is unknown. But hopefully the Blu-ray/DVD will include the whole concert. According to fans who attended the second MTV Unplugged concert at Giske on Friday, it was even better and more relaxed than the first night. It was also longer; around 2,5 hours in total. This was partly because they played several songs multiple times. “Hunting High and Low” was played three times, while “The Living Daylights” and “Take On Me” were played twice. Ingrid Helene Håvik was the only special guest on Friday, joining a-ha on “The Sun Always Shines on TV”. Lissie and Ian McCulloch both had other commitments, but a-ha still played “The Killing Moon” without McCulloch. Alison Moyet also did not appear on stage, as she had already recorded her duet with the band earlier in the day – a version of “Summer Moved On”. Apparently some of the video screens behind the band malfunctioned on Friday night, but hopefully this will be possible to fix in the editing process, when footage from both nights (plus Alison’s Moyet performance) will be combined into the final version for MTV broadcast and Blu-ray/DVD. On Saturday a-ha were back at Giske to do a photo shoot for the album cover with Just Loomis, who has been documenting the MTV Unplugged recording. Norwegian director Thomas Robsahm and his crew have also been at Giske, shooting material for the upcoming documentary film about a-ha, which is expected to premiere in 2019.